Now is the time to improve your home with a new patio, pergola, verandah, outdoor blinds or carport. We offer a number of finance options with approvals in 24 hours or less. Our flexible repayment options will fit your budget so don’t wait any longer to realize your alfresco outdoor living experience. 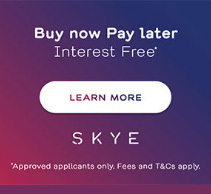 Up to 36 months payment terms. The ability to borrow up to $15,000 with low fortnightly payments. Easy online application process with 24 hour or less approval. Customer friendly online account access and phone support. Please contact us today to secure finance for your new patio, pergola, verandah or carport.